Sonic the Hedgehog (ソニック・ザ・ヘッジホッグ Sonikku za Hejjihoggu) is a platform video game developed by the Sonic Team division of Sega and originally released for the Sega Mega Drive/Genesis in June 1991. 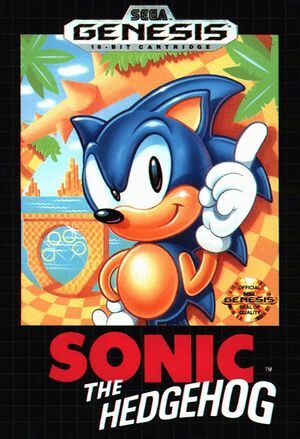 It was commercially successful, increasing the popularity of Sega's 16-bit console and establishing Sonic the Hedgehog as the company's mascot character. Its success led to the development of subsequent games in Sega's flagship Sonic the Hedgehog series, as well as the creation of a media franchise of spin-off products featuring the character. The graph below charts the compatibility with Sonic the Hedgehog since Dolphin's 2.0 release, listing revisions only where a compatibility change occurred. This page was last edited on 27 December 2017, at 07:23.